Uber Technologies said it’ll triple headcount working on food delivery across Europe, the Middle East and Africa (EMEA) in its fight for market share against local rivals including Deliveroo and Just Eat. The restaurant delivery arm of the world’s largest ride-hailing company, called Uber Eats, represents more than 10% of gross bookings across the business. 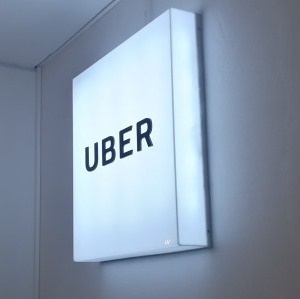 Uber is also expanding how users can pay for food and looking to generate more business via its website rather than its app, said Rodrigo Arévalo, head of Uber Eats in the EMEA region. Uber Eats is set to increase staff in EMEA to 900 from 300 next year, Arévalo said. Drivers are ferrying restaurant orders in more than 200 cities in 20 countries across the region, after debuting in London in 2016. The company is now looking at ways of attracting more users to its website, in a bid to take customers from rival Just Eat. The vast majority of Uber Eat’s orders in EMEA – about 84% - come via its app. At Just Eat, the number of users ordering food via mobile is closer to half, according to company filings. Uber Eats’ expansion is not without issues. In late October, a London court weighed whether Uber’s drivers are really self-employed, as the company says. If the company is forced to treat drivers as workers eligible for minimum wage and vacation pay, businesses with similar models – such as Uber Eats and Deliveroo – may have to do the same. Uber Eats is rolling out local payment methods for various regions. In August, it incorporated Dutch e-commerce payment service iDEAL within its app, and in France, users can pay with prepaid meal vouchers. This year, it also allowed cash payments in Saudi Arabia, Egypt and South Africa. Uber Eats and Deliveroo are also battling for so-called virtual restaurants, where eateries lease kitchen space to prepare food for couriers. With no dining rooms or wait staff, these outfits pop up where food delivery companies expect demand, and sell their meals through Uber Eats or Deliveroo’s app. Deliveroo has more than 400 virtual restaurants operating on its platform in the UK. Uber Eats hopes to have a similar number in the country by the end of the year, said Arévalo. Uber Eats remains open to bolt-on deals. In May, it acquired Ordertalk, a Dallas-based company focused on online ordering software. Uber was in early talks to buy food-delivery company Deliveroo, Bloomberg reported in September.